IYH WANTED:IYH Gang T-Shirt Now Available !! New IYH Gang T-Shirt with Jack, Barbie and the OIB now available !! Amazing new design !! 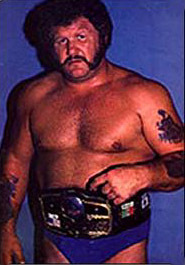 Sir Oliver Humperdink and Gary Hart on IYH December 14th !! It's time to go and vote for your favorite wrestling show for all the awards !!! And while you're at it vote on the awards IYH isn't up for as well !! Just click on the link below. And check out the archived interviews on this very site to refresh your memories of the amazing year In Your Head had !! IYH Official Store Now Open For Business !! Click here to visit the IYH shop and buy some stuff ! Our host has apparantly moved the site to a different server, we weren't warned this was going to happen, but apologies to everybody who tried to access the site and wasn't able to. We're also experiencing a ton of errors and problems related the site being moved suddenly, which I have to now fix. Hopefully things will be back to normal by the end of today. Goldberg Wednesday on IYH !! Live at 6:00 P.M. Tomorrow we have a HUGE show planned. First up Prime Time Elix Skipper. Followed in the 2nd hour by Bill Goldberg !!! This is a show you can not miss !! Starting LIVE at 6:00 PM Eastern Wednesday November 23rd. Live chat room and call ins at 508 644 8503. 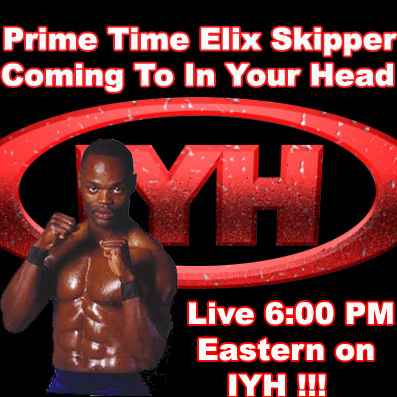 Elix Skipper on IYH Wednesday Live 6:00 !! 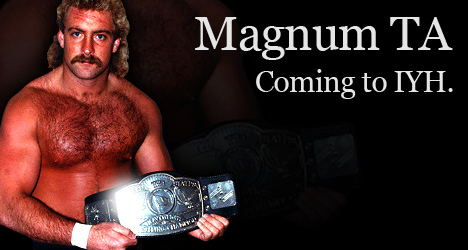 Magnum TA on Wednesday !! 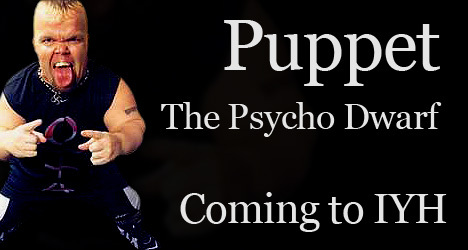 November 16th we will have Puppet The Psycho Dwarf !! 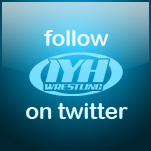 In Your Head Live Tonight at 6:00 PM Eastern With JJ Dillon !! 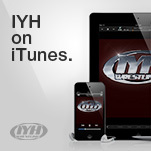 Please join us in the live interactive IYH chat room at 6:00 PM Eastern. Feel free to call in with your questions at 508-644-8503. Special day for this week only, Thursday. We will be live at 6:00 P.M. Eastern. 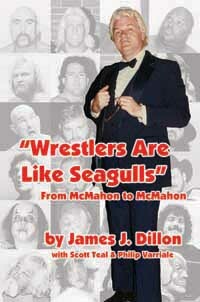 Manager of the original 4 Horseman JJ Dillon will make his return to IYH !! One of our best interviews, and the one that really got us noticed was the previous 90 minute Dillon interview, which you can still check out in our archives. 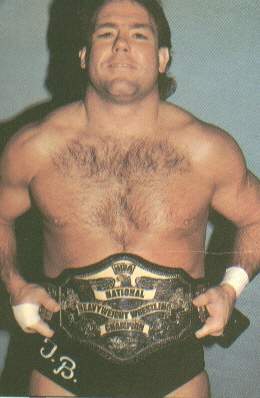 A true legend who has been around for so many ups and downs and major happenings in the wrestling business. Want to join IYH Hoop Dreams: In Your Head NBA Fantasy League ? The winner will get some prizes from the official IYH prize pool. Including Mexican wrestling masks, Duckman and Ron Hexe CD's, original artwork from TJ, XFL collectibles and more!! The live draft will be November 5th at 5 pm eastern. Good luck and have fun !! Trash talking is welcome !! Please go and vote for the nominees for the AudioWrestling year end awards. Of course the good people here at IYH show no favorites on best show, best interview or best moments. 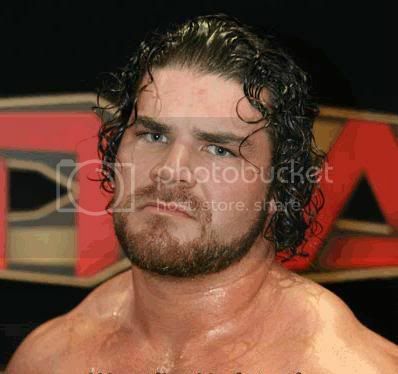 Bobby Roode and Tony Hunter On IYH Tonight !! 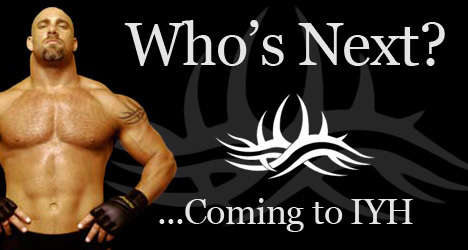 TNA's Team Canada member Bobby Roode will join us as our first guest tonight on In Your Head. Then we will be joined by Promoter of Carolina Championship Wrestling Tony Hunter to discuss the CCW and Legendary wrestlers. All starting LIVE at 6:00 P.M. Eastern. Join the live feed and the live chat room, and we will welcome call ins at 508-644-8503 (long distance charges may apply).